How many times have you walked into your pantry, only to fantasize about Mary Poppins's magical ability to sing, snap, and organize? What we wouldn't give to execute a few crisp snaps and watch our pantry magically right itself. While that kind of magic may not be possible, Kitchen Magic can certainly help get your pantry "spit-spot," as Ms. Poppins would say. 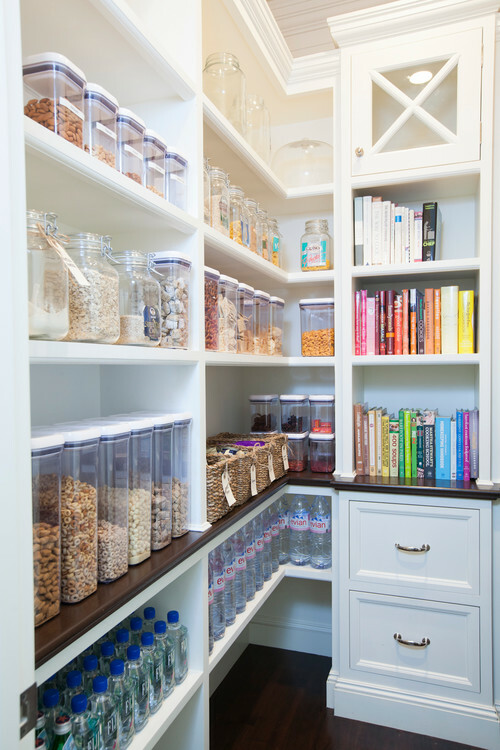 The following 7 steps can help you organize your pantry space so things are neat, tidy and efficient. You'll be amazed at the storage space that opens up with minor planning and re-configuration. The first step is to purge your pantry of all the old, expired and icky stuff that has accumulated over the years. If you work diligently, this step won't take more than an hour. The result will be a more organized pantry where you can find anything you need in five-seconds or less. Isn't that a nice thought? Now you can clean everything with warm water, mild soap and a soft cloth. Make sure shelves are completely dry before you put anything back in there. 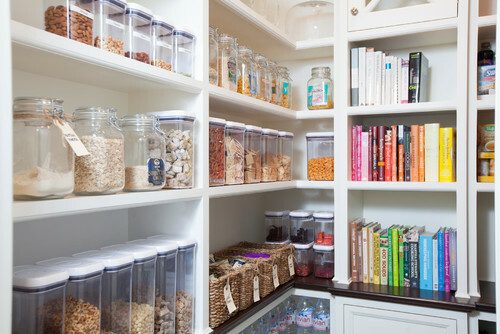 Could your pantry be organized differently? If you use your cabinets as a pantry, you may find pull-out shelves or a lazy Susan-type addition will be helpful. What about organized spice racks? If you have a walk-in pantry, head online or to your local kitchen supply store to look for bins and containers with clear sides that will help you store things in an organized way without losing touch with what's inside. Even if you aren't interested in a full kitchen remodel, you may find a consultation with a professional kitchen designer will provide ideas for how to make your current configuration more functional. 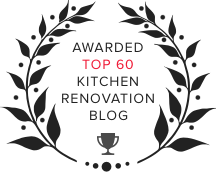 We're pretty good at what we do, and we can help you do a mini-remodel or a re-design of your pantry space so it makes more sense for your lifestyle. Contemporary kitchen designs often throw out the old "kitchen work triangle" idea and organize a kitchen remodel by specific work zones. You can do the same type of thing in your pantry. Depending on your height and the layout of your kitchen, you'll want to keep "everyday" items in easy-to-reach spaces, while less-commonly used products take up top shelf or lower-level spots. Hire a carpenter or enjoy a simple DIY task and replace stock cabinetry shelves with custom stair-stepped shelves that make it easy to see rear rows of cans or boxed goods. This makes pantry inventory and ingredient finding so much easier! If there is space along the walls, use designated hangers for cleaning supplies, pots and pans, or cooking tools you don't use as often. Interested in more ideas on how to organize your kitchen pantry. 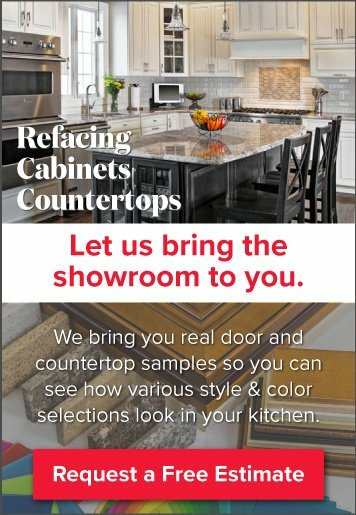 Visit the Kitchen Magic showroom and speak with a professional.